Step away from the Q-tips. Here’s the best, safest way to get rid of excess earwax! Are you one of the many people that clean their ears with cotton Q-tips after getting out of the shower? Do you often wonder if your ears are full of earwax or how to properly clean ears? Besides going to an audiologist, or your doctor, to get the earwax cleaned out, here are some tips on how to clean your ears, safely. Click here to learn why you should stop using Q-tips. When using cotton Q-tips to clean your ears, you are unfortunately not doing your ears any good. What you are doing is pushing the current earwax back in the ear canal towards the ear drum. This process may feel good in the moment, and may even feel like you’re doing something productive, but over time you could be causing your ear damage. The ears is self-cleaning. This amazing substance helps collect dirt, bacteria and other debris that can possibly enter your ears. When you read that earwax is self-cleaning, you’re probably wondering how. Earwax normally can work its way out of the ear through chewing and certain jaw motions, allowing some people to never have to clean their ears. Certain people are more prone to developing excess earwax or impactions in the ears due to certain health problems such as ear plugs or the need for hearing aids. If you’re wondering how often you should clean your ears, it all revolves around the problems that are being experienced. If you notice severe pain or any of the symptoms above, going to see a doctor as soon as possible is a good idea. Developing ear infections are easy and if you are someone that is prone to having a lot of earwax in the ears, getting professional cleanings every 6 – 12 months can be a good idea. Best ways how to clean your ears, safely. 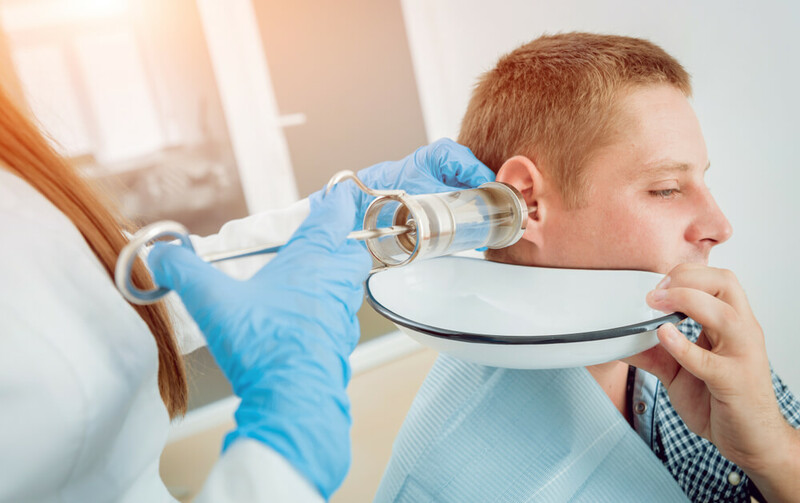 First and foremost, if you believe that you have an excess buildup of wax in your ears, taking a trip to the doctor to have them professional cleaned is the safest idea. Doctors have special tools to clear any blockages in the ear or surrounding the ear drum. Other ways how to clean your ears safely could include some of the following tips. Softener – Earwax softeners exist in the form of eardrops. These soften the wax in the ear and contain various ingredients to help your ear drain out. Irrigation– Syringes can be used to irrigate the ears. This is done by gently rinsing out the ear canal using water or a saline solution. When it comes to how to properly clean ears, mixing the irrigation method with the earwax softener can help clean the ear even better. Using warm water in the syringe can help avoid changes in temperature in the ears causing side effects such as dizziness. Many people don’t understand how to properly clean ears, or don’t even do so regularly. Although wax is self-cleaning, inserting things into the ear canal can cause more problems than solutions. The next time you’re at the doctor, have them take a look at your ears and let you know how much earwax they see, you may also ask them to remove it on the spot. It’s recommended to avoid ear candles, sticking q tips into your ear canal, irrigating with certain diseases such as diabetes or a low immune system. Take care of your ears, the better you treat them the longer they will last you.